What is the process to propose a change to SQLModel model? b. Direct editing using Eclipse Ecore model editor. 2. Public proposal review - Offer DTP-DEV a best/commonly accepted proposal. 3. 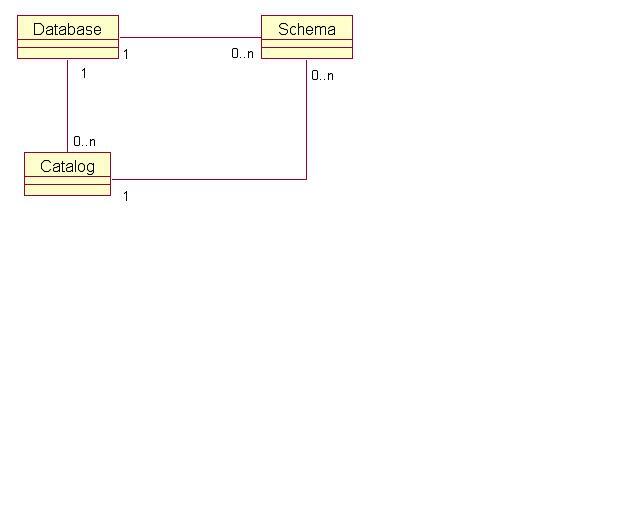 Model base committer will change UML model and generate new EMF code for documentation purpose. 4. Making necessary code change in various DTP projects which is impacted by the change. 6. Enhancing WTP to DTP migration guide to help WTP adopter to migrate to DTP. impact to existing models and SQL spec vs implementation. Informix, Derb, etc) to model the Catalog. 3. OMG is also propose enhancement and changes on SQLModel as part of their plan to adopt SQLModel from DTP. Following is a list of questions related to SQLModel which was discussed during our meeting today. EMF code generation does not enforce the cardinality. However it makes a difference when it comes to cloning, especially if the relationship is not a composition. We should have no issue for WTP migration to change the cardinality from 1..n to 0..n. since the Table-Column relationship is modeled as a containment. 3) If <constraint check time> is not specified, then INITIALLY IMMEDIATE is implicit. 4) Case: a) If INITIALLY DEFERRED is specified, then: i) NOT DEFERRABLE shall not be specified. ii) If DEFERRABLE is not specified, then DEFERRABLE is implicit. The only invalid combination is NOT DEFERRABLE INITIALLY DEFFERED. If needed, we can put a note in the model. I guess modeling as enum only helps eliminate checking for valid combinations by the end user application code. Btw in Oracle reference manual, both properties are modeled separately as well. 3. Question regarding why Trigger object in SQLModel need a timestamp attribute? And why a Trigger object can have 1..n SQLStatement? - Hemant's action item. The trigger action body can be made up of group of statements. The end user application may decide to map the entire group of statements to one SQLModel SQL statement or to map each statement to its own SQLModel SQL statement. Note: Some WTP adopted commercial product maps the entire group of statements to one SQLModel SQL statement. 4. User Defined Type - No issue after the short discussion. 5. Table - What is the purpose for ReferenceType enum? A table based on a UDT is called as a "typed" or "referenceable" table. in such a table, for every attribute definition of the UDT, there is a corresponding column definition. In addition, in a such a table, there is a extra column called as the "self-referencing" column. This is equivalent of OID in OO terminology. All typed tables have a self-referencing column. The ReferenceType enum describes the options for generating the values of the self-referencing column. The attached zip contains a document describing a proposal for improvements to the Authorization & Access Control package of SQLModel. Enhance SQLModel to support Collection (ARRAY and multiset)Dataypes. Collaboration with OMG for SQLModel/Model base related change. Respond to request for model change proposal.